FREE Kid's Meal At Applebee's! 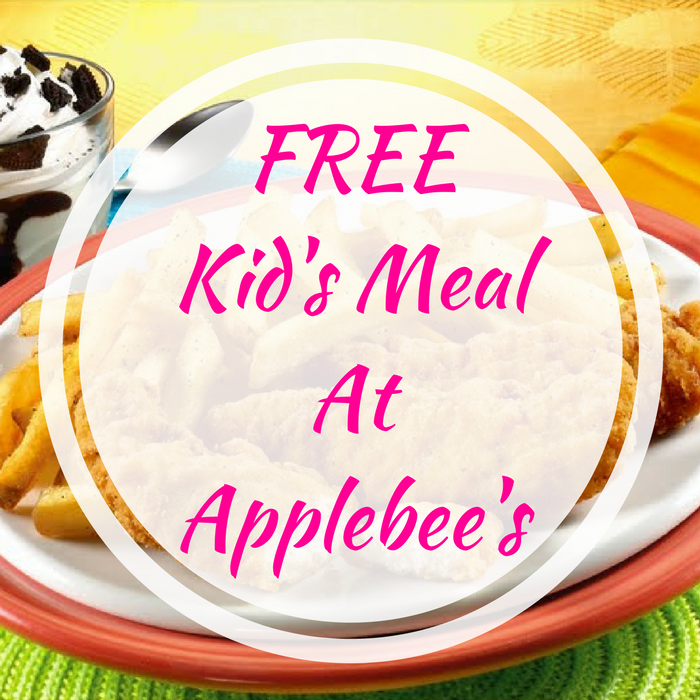 You are here: Home / FREEbies / FREE Kid’s Meal At Applebee’s! FREE Kid’s Meal At Applebee’s! On April 1 Easter Sunday, starting 11am! Applebee’s will be offering a FREE Meal For Kids All Day where kids (aged 12 years old and under can order food from the kids’ menu for :fr! Please note that this offer is for dine-in only and valid only when accompanied by an adult purchase. There is a limit of two kids per adult.